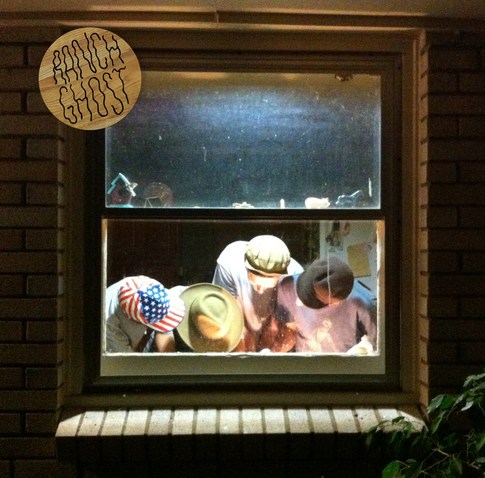 It’s only been a few short months since the release of their debut 7″ from Jeffrey Drag Records – but Ranch Ghost have teamed up with our buddies at Cass Records to bring you a brand new slab of wax. This one’s no different from the first in that it packs a double-sided punch of pure gnarly jangly garage rock. It features two new tracks: “Nahla” for the A-Side and “Ragged Mile” for the B. Both were recorded over the Summer over at Club Roar by our buddies Robin Eaton and Jeremy Ferguson. “Nahla” has an immediate hook that will be stuck with you for the rest of the day – but in the best way. And “Ragged Mile” has the Ghosts taking a more sinister/haunted vibe that leads to a chorus that’s like chewing glass. 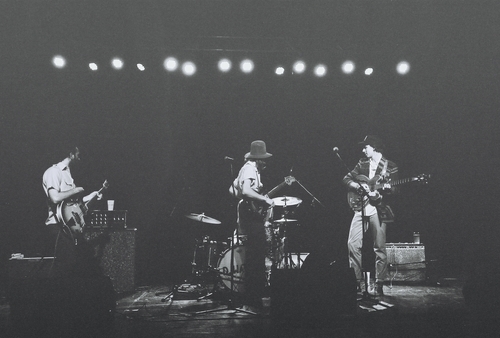 Like the Cass Records site points out in their description of this new record – the thing that really separates Ranch Ghost from the majority of most current “garage” acts is their live show. This new single does a pretty accurate job of capturing that live sound and if you’ve seen them around town then you know that means it’s good and worth your time. You can check out both tracks below – but we highly encourage you go to ahead and snag it from Cass before they’re all gone. Nice groove on duds. Love the hats. Digg’n y’all.